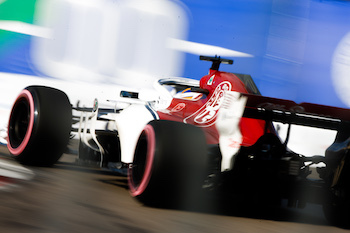 Charles Leclerc (top) scored six more points for the Alfa Romeo Sauber F1 Team in last Sunday’s Russian Grand Prix at the Sochi Autodrom after crossing the finishing line in seventh place following a very solid race performance. Team mate Marcus Ericsson (bottom), meanwhile, finished in thirteenth place but struggled in the race due to traffic and being unable to fend off the gaggle of faster cars that were making their way up from further back on the grid after a lopsided qualifying session. 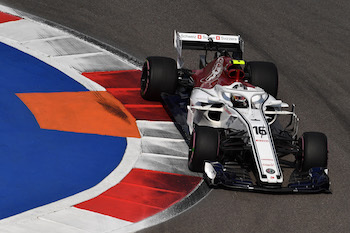 Charles Leclerc scored six more points for the Alfa Romeo Sauber F1 Team in last Sunday’s Russian Grand Prix at the Sochi Autodrom after crossing the finishing line in seventh place following a very solid race performance. Team mate Marcus Ericsson, meanwhile, finished in thirteenth place but struggled in the race due to traffic and being unable to fend off the gaggle of faster cars that were making their way up from further back on the grid after a lopsided qualifying session. Both Leclerc and Ericsson made their start, respectively from P7 and P10, on hypersoft tyres. They began the race on a one-stop strategy, but with Ericsson the team opted to go for a second pitstop, changing to the ultrasoft compound, in an attempt to gain pace and move up the order. With impressive overtakes made by Leclerc at the start of the grand prix, and an overall positive weekend in Russia to look back on, the Alfa Romeo Sauber F1 Team heads to Japan this weekend with the potential to finish the last few races of the 2018 season on a good note. The Alfa Romeo Sauber F1 Team continues to holds 9th place in the Constructors’ Championship. Charles Leclerc is 15th (21 points), and Marcus Ericsson is 18th (6 points) in the Drivers’ Championship.